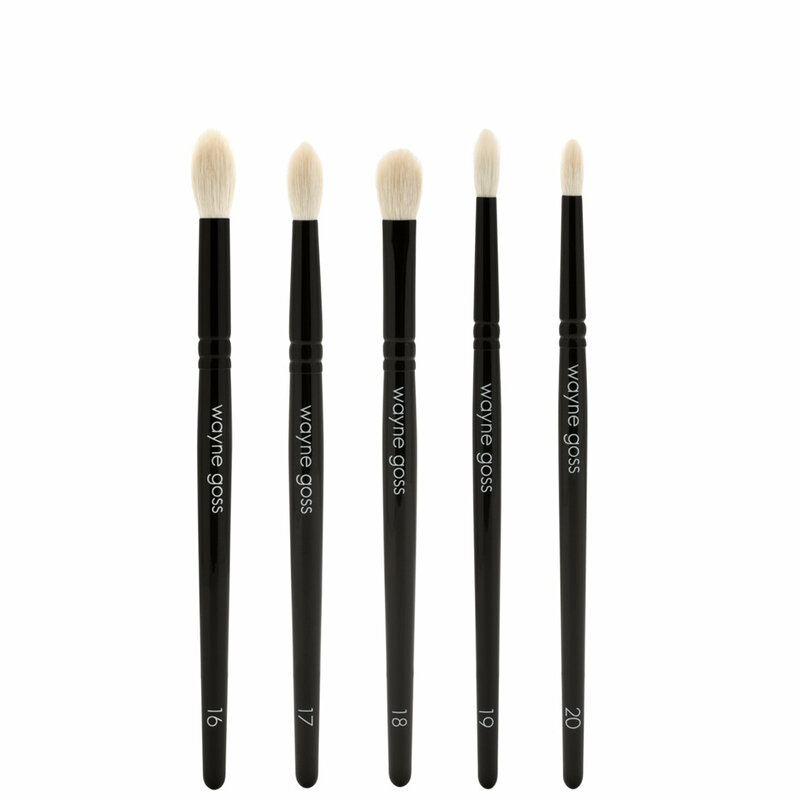 Create virtually any eye look with The Eye Set, a collection of five handcrafted brushes designed by makeup artist Wayne Goss. Featuring silky-soft natural bristles, this set comes with everything you need to master a smoky eye, cut crease, winged liner, and so much more. Wash your brushes occasionally with gentle brush soap and let them dry hanging upside down. 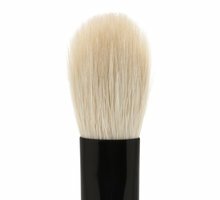 As with all brushes made with natural hair, some shedding may occur during the first few uses. They're all basically different size crease brushes, which is why I knocked off one star. I was never able to purchase the old eye set, so I can't really compare it to the original. However, the old eye set looked like there were more of a variety of different size brushes including an overall eyeshadow brush for blending eyeshadows all over the lid and high above the crease. I was fully aware of what i was getting into when purchasing these brushes. 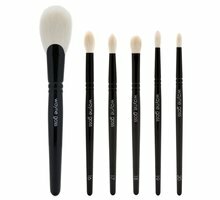 The brushes are more compact and pointier than the original set which will give you a more precise deposit of pigment on the eye. I also saw Wayne's video on how these brushes are pretty much geared towards people who have hooded eyes, so I understand why almost all the brushes work like crease brushes, I just wish there was atleast one overall fluffly eyeshadow brush to blend all over the eye. You'll difinitely need to reach for another brush outside of this collection if you want to achieve a blown out smokey eye look. Other than that I'm overall happy with the quality. 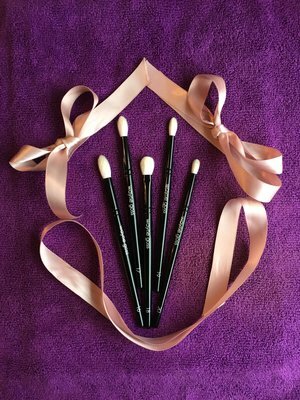 They are soft and there's minimal blending needed with these brushes. 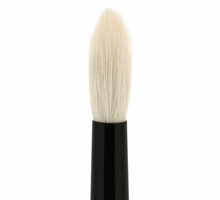 This will be a new addition to my brush collection. These are soft, beautiful, amazing brushes! I'm 43 and in the last year, my hoodies got significantly worse, even with Botox (which used to correct them entirely). I can't do a winged line anymore, which used to be my signature thing, because it looks so droopy now. So I've started depending on eyeshadows to visually offset the hoods. I haven't tried them with my cream eyeshadows but if anything changes I'll report back. Also, this was my first Beautylish experience and I loved how they packaged everything. There even was a handwritten note that I kept, it's so pretty. Everything was so beautiful and a very different experience from a makeup retailer I've been buying from for years. I'm so impressed with everything and I'll be back for more. I loooove WG brushes with all my heart. I have some sets and a few individual brushes. However, I haven't purchased this new eye set only for 1 reason. 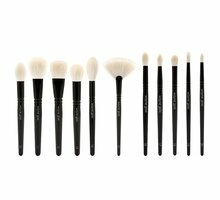 I was actually waiting for Beautylish to restock some of the individual brushes from the original eye set as it has more versatility of brush head shapes, whereas the new one is basically a collection of crease brushes in different sizes. Well, I get Wayne's point in this set being perfect for hooded eyes, but there are different people out there and even for hooded eyes people how many crease brushes does 1 eye need? It is also necessary to have a great pencil brush, and at least 1 or 2 flat brushes to pack on the color, so to me the original set was more versatile, but this set I do like for brush #18, which I assume is a dupe of Mac 217 (I was praying for Wayne to create such a brush). So, bottom line, the new set is invaluable for having brush #18 and the old one has all the other brush shapes that the new one doesn't, particularly a pencil brush and flat brushes. So I'd really love to see the old set or at least the individual brushes from it come back. I hope Wayne brings them back some time in the future so that people have options to choose whatever shapes they want/need from both sets and not JUST the crease brushes. Just did my natural eye look with Kevyn Aucoin's SOFT CLAY eyeshadow using these brushes & I was in a hurry. They performed extremely well and made the look easily without much effort or having to tap off extra shadow. Very pleased! ALL I REQUEST IS BRING BACK ORIGINAL BRUSH #16 as an additional permanent brush pls! NEVER GOT TO BUY IT & I UNDERSTAND IT DOES SEAMLESS BLENDING! Highly recommend this set & greatly appreciate Mr. Goss making luxury brushes specifically for hooded eyes! I received these last week. I love the way they are pointed on the ends. I have hooded and crepey eyes. 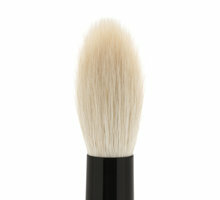 Each of the brushes gives me just the right amount of coverage and blendability. I can't believe they are made of goat hair - the brush heads are so soft. I would definitely recommend these brushes to anyone who is looking for a great set of brushes. The brush quality is great, definitely. The downside is this set lacks variety. Almost all in the set are just crease brushes in different sizes. I would love to see a pencil eye or another shader brush in the set. I couldn't find a smith ( all my gurus raved about this ) against goss comparison on you tube so I went ahead and purchased sets from both brands, determined as I was to up my make up application ante. My goss set came way ahead ( beautylish service, of course) and I have been so in love with it . When I picked up my smith set which I sent to the USA ( to save on steep Canada - Asia shipping ), my disappointment was real. Smith was so scratchy compared to that of Goss. Although I much prefer the Smith handles and finish, the hair itself were all simply inferior. Buy Goss and only supplement with Smith what you can't find at Goss. For example, I have this beautiful and entirely functional smith 220 which you won't find at Goss. But if you are on the fence, I hope this will answer your doubts. Lay your trust on The Goss Eye set. And if you have hooded eye, don't hesitate at all. AS SOFT AS I HAD HOPED! Mr. Goss didn't mention in his YouTube preview that these brushes are extremely soft! Softest white goat hair I have ever touched! I am so happy about this & wanted everyone to know. I will update after I use the brushes, but seriously, I don't expect them to disappoint. Luxurious, multi-purpose brushes. WG delivered on all his promises! Worth the investment! Works on all eye shapes but especially hooded eyes like mine. 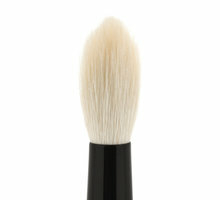 You can definitely use the brushes for other product like concealer & highlight. WG continues to innovate and better his products. Hence his strong following.